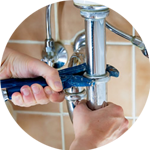 If a Plumber in Haringey is what you are looking for, The Handy Squad is your best chance at an efficient and quick service. 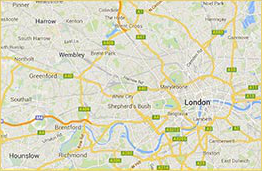 We can be seen all over London in our unmissable yellow scooters and vans, ready to give a second pair of hands to anyone that requires our services – unblocking urinals, rodding drains, replacing radiators, installing pipes and much more, we can help with any plumbing job. 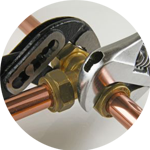 So, why not give your local Haringey Plumber a call? The London Borough of Haringey shares borders with Enfield, Waltham Forest, Hackney, Camden, Islington and Barnet. Haringey is formed by 19 wards, including Alexandra, Bounds Green, Bruce Grove, Seven Sisters, Wood Green, Highgate, Muswell Hill and Tottenham Hale. This borough is home to the Alexandra Palace, Bruce Castle and Tottenham Hotspur Football Club. A quarter of the total area is made up of recreation grounds, open spaces, parks and ancient woods, such as Highgate Woods, Queen’s Wood and Coldfall Wood. Finsbury Park and Alexandra Park are amongst the larger open spaces. 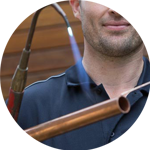 Our team of multi-skilled plumbers can reach you in no time, no matter where you are in Haringey. 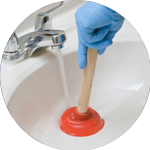 We are able to install new sinks in your home or office, repair leaking taps, replace plumbing devices, unblock internal waste pipes and much more. If you require a more general London handyman, our team can repair and replace sockets, install new flooring, put up partition walls, among other services.